When you enter Old Thousand’s dining room, you know you’re in store for something a little bit different. 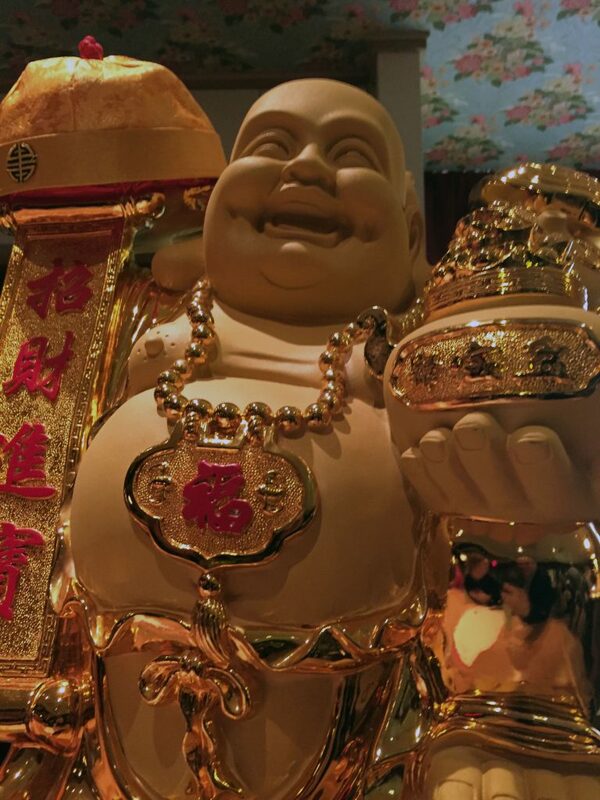 Bright, Asian-inspired floral wallpaper adorns the walls and a handmade 40-foot heritage oak bar spans one side of the room with a large gold Buddha on it. The space is comfortable and casual, but with a unique flair. The atmosphere sets the tone, but the restaurant puts equal emphasis on eating in and dining out. So if you’re in the mood to enjoy the quiet atmosphere surrounding your own sofa, you can still enjoy delicious dishes from one of East Austin’s newest eateries. There is some familiar talent behind Old Thousand’s menu. Chef James Dumapit, former executive sous chef at Uchiko, is one of them. He’s joined in the kitchen by Chef David Baek of Thai Kun and Uchi fame. 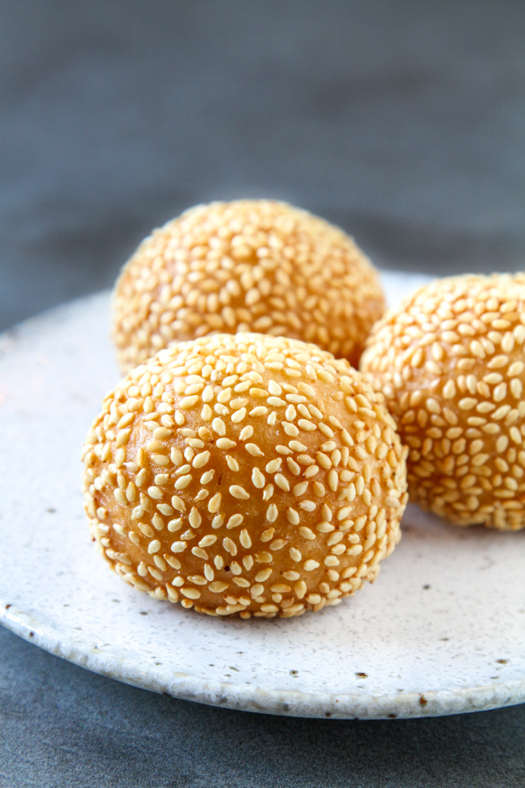 Together they create traditional Chinese recipes with a modern Texas spin, using the freshest and most flavorful ingredients they can find. At the end of the day, any restaurant–even one with the best atmosphere and highest pedigree of chefs–is only as good as its food. And the food at Old Thousand is definitely worthy of their motto, #DopeChinese. They have a full menu with delicious appetizers, like crispy wontons with shrimp and pork, bao (steamed buns) filled with duck confit, and fried chicken feet. I tried the pork ribs which were incredibly tender and contained the perfect balance of sweet and salty. The rest of the menu includes a number of soups, salads (including one made from tea leaves) and an assortment of vegetables. One standout for me was the bok choy in a sweet soy vinaigrette with crispy garlic and shallots. Between these vegetable sides, and main dishes like Mapo Eggplant and Dan Dan Noodles with mushroom puree and crispy tofu, vegetarians will find plenty to celebrate here. Old Thousand has a number of noodle and rice dishes for meat eaters, as well. My personal favorite is the brisket fried rice. 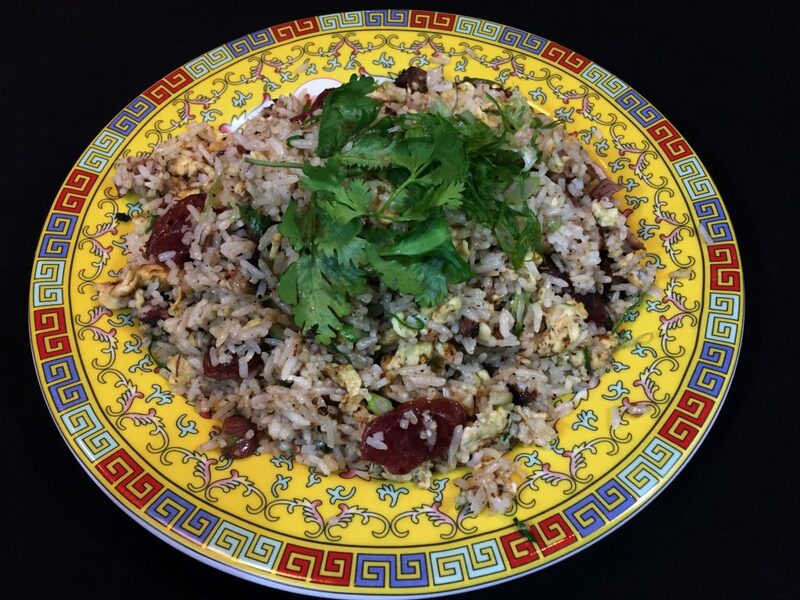 Brisket from nearby La Barbecue is incorporated into flavorful fried rice with Chinese sausage and green onion. It’s a completely new experience and also incredibly tasty. The fatty brisket pairs brilliantly with the sausage. Other entrees include pineapple beef and a crispy nest made of egg noodles and filled with tiger shrimp, scallops, squid, and pork. I’ll caution you to not make my mistake and forget to save room for dessert because Old Thousand has a great selection in this area, as well. In addition to desserts like donuts with pandan curd and sesame balls with peanut miso, there’s a selection of snow ices. Snow ice is different from shaved ice in that the flavoring is mixed into batches of milk or water before being frozen and shaved. It’s like ice cream, shaved into a lightweight mountain of flavorful snow. Naturally, Old Thousand puts a unique spin on snow ice with flavors like matcha with wildflower honey, blackberry, and gin or taro with hazelnut and preserved blueberry. 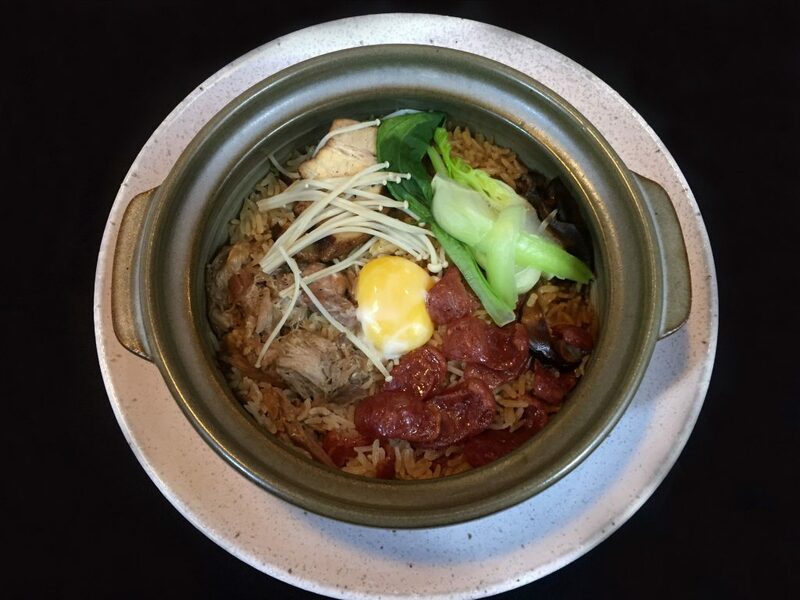 Your New Go-To Chinese Spot? 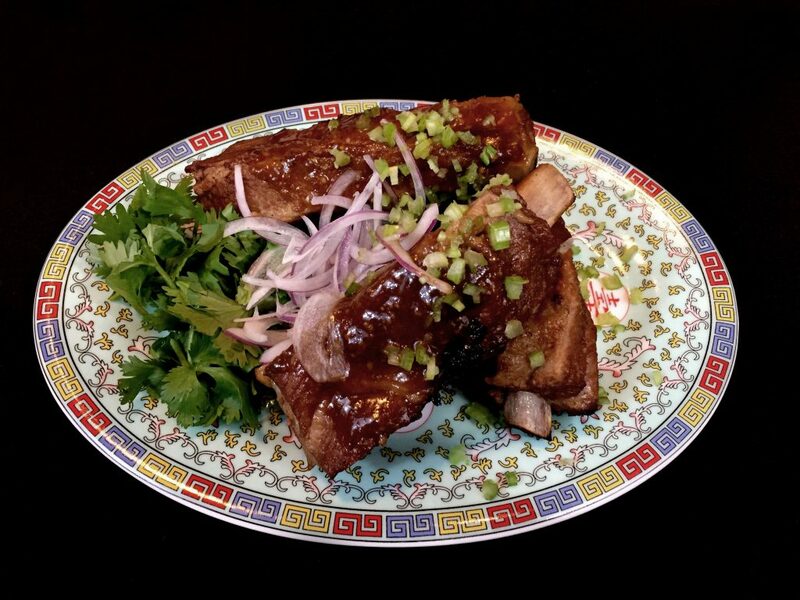 The name “Old Thousand” comes from Chinese slang for a “quick-witted and crafty gambler.” But if you’re looking for a great night out at a modern and eclectic Chinese brasserie, Old Thousand is anything but a gamble. In addition to the extensive food menu, they also have a fine selection of beer, wine and creative cocktails. Old Thousand officially opened on Dec. 4, 2016,and will be open for dinner from 5 to 10 p.m. Sunday through Thursday and 5 to -11 p.m. on Friday and Saturday. They accept reservations for parties of six or more, but otherwise they’d love for you to just walk right in. Disclosure: I was invited to a complimentary media tasting for the purposes of this review. All opinions are my own.